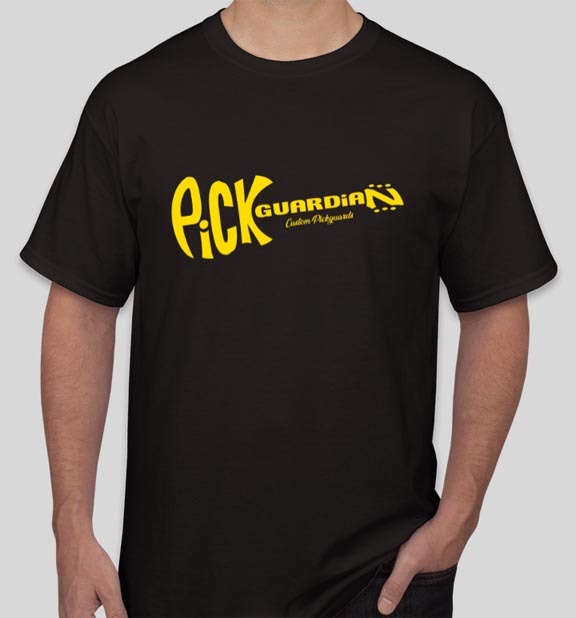 Quality 100% cotton Black T-Shirt with Yellow Pickguardian logo. Order your custom silk-screened Pickguardian T-Shirt. Quality 100% cotton Black T-Shirt with Yellow Pickguardian “Rickenbacker” guitar-shaped logo. Available is S-XXL.